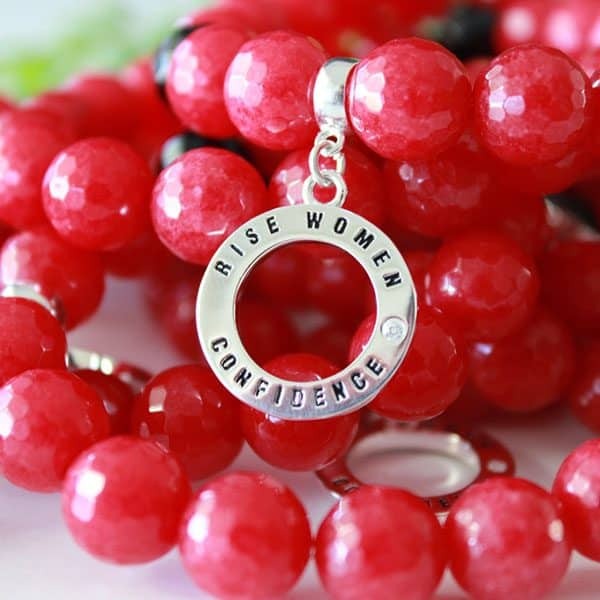 These bracelets are hand-made in Australia, using top-grade semi-precious stones with a bespoke sterling silver RiSe Women confidence charm. Our beautiful bracelets are handmade in Australia from top-grade semi-precious stones. 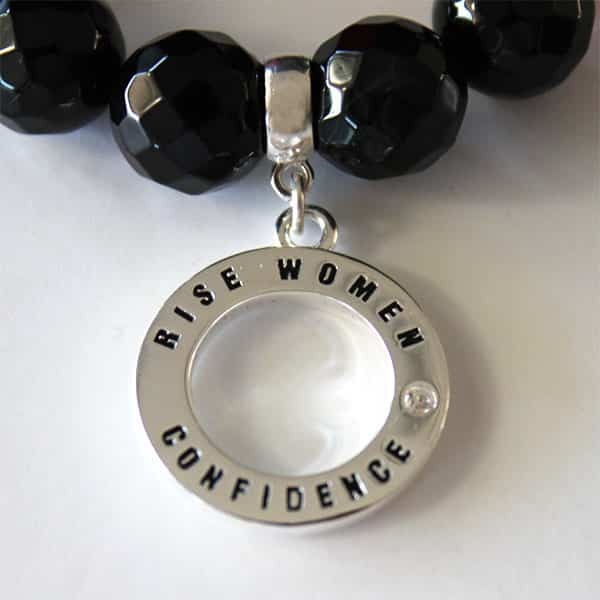 Our bespoke Rise Women confidence charm is made from Sterling Silver with the wording and diamante featuring on both sides. 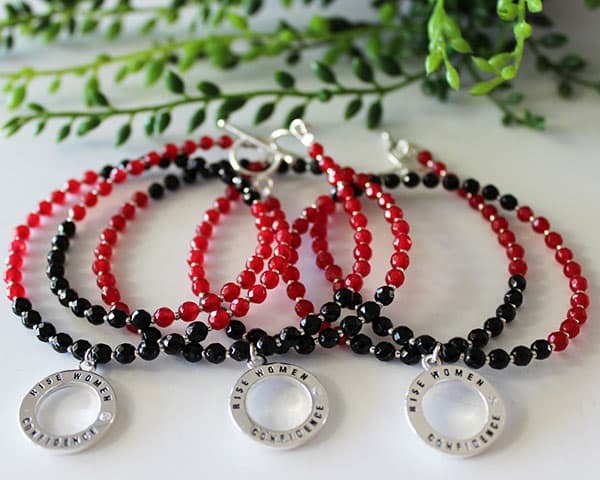 Our bracelets can be purchased in conjunction with our book PUMPED as a beautiful gift (for you or another amazing woman you know who might need a confidence boost!) Both items are discounted when purchased together. See our Confidence Gift Pack for details.